The SCA received back 2 stone reliefs which were stolen from HotepKa tomb (dated to the 5th Dynasty) in Sakkara in the 1980s when robbers stole 4 stone reliefs depicting hieroglyphics and wild life scenes. Dr. Mostafa Amin (Secretary General of SCA) said that the reliefs were retrieved through the co-operation between the SCA and the Antiquities police in Sakkara. 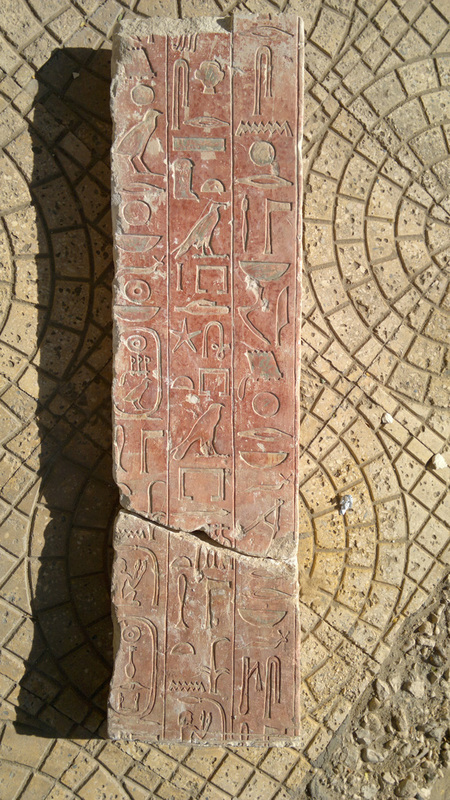 One of the reliefs is 100cm x 60cm depicting 4 geese and hieroglyphic letters and the other relief is a rectangular shaped stone with three vertical lines of hieroglyphics carved and bearing the Cartouche of Kings “Sahure (2487 - 2477 BC)” and “Neferirkare (2477 - 2467 BC) ” of 5th Dynasty. Dr. Mostafa added that the tomb is documented and registered and the stolen objects of this tomb can’t be possessed by any museum or individual. Atef Abu El Dahab (Head of the Ancient Egyptian Department at SCA) announced that the objects from that tomb are being kept in the warehouse in Sakkara and it is secured as well as the tomb within the general plan of the area security.